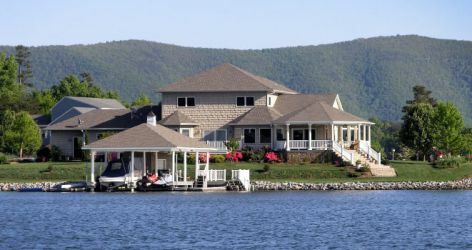 Smith Mountain Lake Properties is the lake’s premier luxury real estate agency, offering a complete and varied selection of waterfront and off-water homes and properties. Whether you are seeking a summer home on the lake, golf course villa, waterfront condo, or anything in between, the expert staff at Smith Mountain Lake Properties will work beside you through each step of the buying process. There is no time like the present to make your dreams of investing in lake real estate a reality. Whether working on a 1031 exchange, shopping for that summer home, or planning to relocate to the lake on a permanent basis, let our knowledgeable team help you find that perfect piece of property. Set against the backdrop of the majestic Blue Ridge Mountains, Smith Mountain Lake is a rural paradise in a category all its own. Here, leave the worries of the world behind and sink into the beauty, stillness, and serenity of this "Gem of the Blue Ridge." I invite you to browse through our listings, and contact me, Leslie Becker at 540-797-0477 or email me at [email protected] with any and all of your real estate needs. I would be honored to assist you personally in making your dreams of lake living a reality.